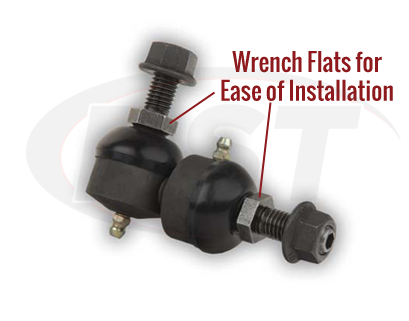 The OE design of the front sway bar end link in your mid-size Chrysler, Dodge or Plymouth is not durable enough to withstand normal wear and tear from daily driving. The non-greaseable design makes it impossible to flush out the contaminants. 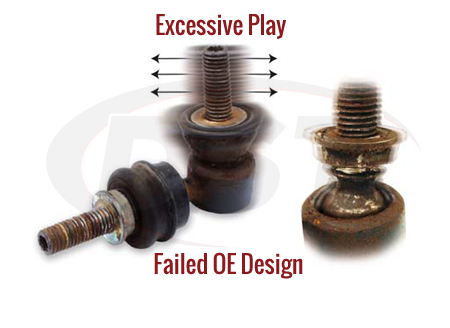 These contaminants build up and cause premature failure resulting in the hammering noise you are hearing at the front end of your vehicle. Luckily for you, we have this Moog Problem Solver in our Stephenville warehouse! K7306 was designed to be greaseable-allowing possible contaminants to be flushed out. 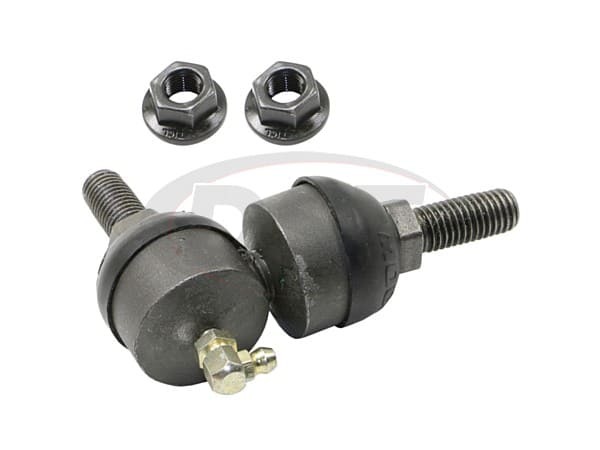 Moog engineered this front sway bar end link with an all metal construction allowing it to be more durable. The all metal design also allows lubricant to penetrate surfaces for longer life and reduced steering effort. The full ball stud provides 360 degrees of smooth and even rotational movement. As an added bonus, wrench flats and an Allen head in the stud to ease installation. If you have any questions about K7306 or any other Moog Problem Solver, please give the DST customer service team a call or simply click on the live chat button. 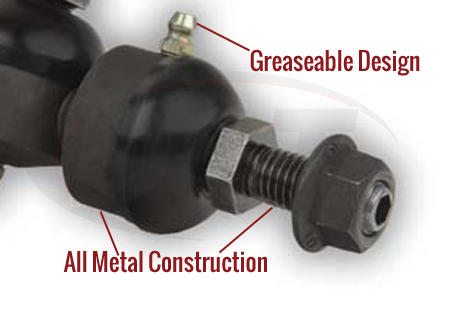 Which way should the end of the grease fitting face on part number k7306? 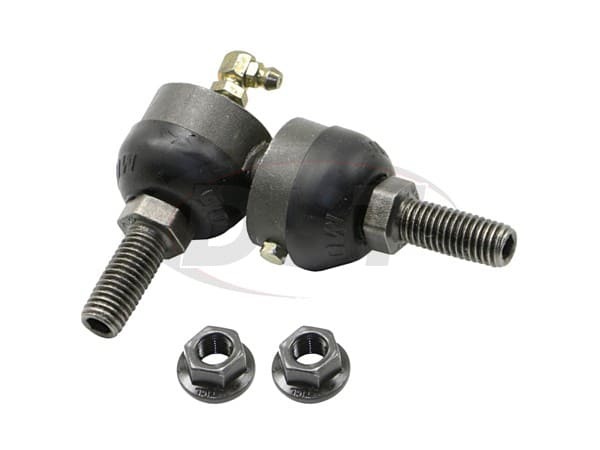 On part number k7306, the end of the zerk fitting should face the other stud of the ball joint.